Park House is a purpose built bungalow in Sandfields. It provides residential short breaks for children and young people with disabilities who are aged between eight and 18. The service can accommodate up to three visitors at a time and offers them a fun and stimulating short break in a safe, friendly and homely environment. 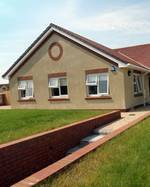 The modern bungalow has been built to a high standard to meet the needs of children and young people with disabilities and their families and carers. In addition to ensuring that the children and young people who stay there have a good time, Park House supports families and carers by giving them a much needed break from their caring roles. 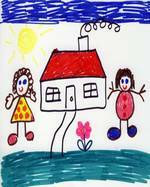 Action For Children delivers the service on behalf of Neath Port Talbot County Borough Council. The organisation is well known locally and nationally for supporting children and young people with disabilities and has been providing short break services for more than 20 years.